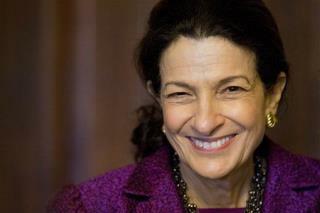 Olympia Snowe: "It was never part of our conversations at any point," says the former Republican senator. "Why would we have wanted to deny people subsidies? It was not their fault if their state did not set up an exchange." She called the four words “inadvertent language." Jeff Bingaman: "As far as I know, it escaped everyone's attention, or it would have been deleted, because it clearly contradicted the main purpose of the legislation," says the former Democratic senator. He chalked it up to "some sloppiness in the drafting" of the bill, calling it "a drafting error." Christopher Condeluci: "We failed to include a cross-reference to the federal exchange," says the Republican staff lawyer. "In my opinion, due to a drafting error, we overlooked it. It was an oversight. Congress, in my experience, always intended for the federal exchange to deliver subsidies." Robert Greenawalt: "I do not recall any discussion of a distinction between federal and state exchanges for the purpose of subsidies," says the tax expert who advised Harry Reid. "In merging two bills that were so big, it's possible that something got left out. It would have been accidental." Or corupted by the idiots.